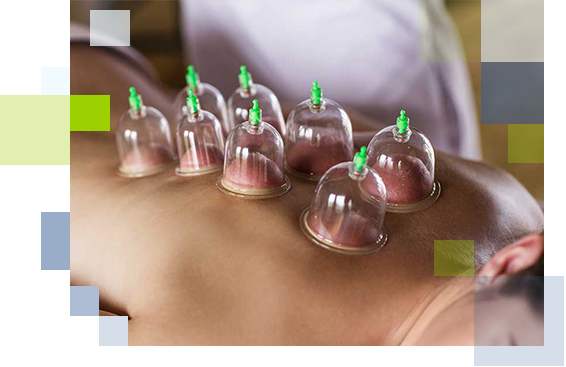 Cupping is an ancient alternative medicine therapy where suction is applied via cups to the skin. This suction is used to treat pain, deep scar tissue in muscles, and swelling, as well as improving lymphatic flow. In Traditional Chinese Medicine, it is believed to dispel stagnant blood and lymph, thereby improving qi flow, in order to treat respiratory diseases such as the common cold, pneumonia, and bronchitis. The cup is left in place between 15-20 minutes and often leaves red marks and or bruising.